There really is no better platform to learn the basic mechanics of shooting than the .22 long rifle (lr). Whether shooting a handgun or rifle, .22s are perfect for shooters of all ages and levels of experience to learn, relearn, and hone their skills. For the ideal training platform, the shooter must have an excellent ammunition to maximize efficiency and productivity. And when you have determined the ideal ammunition, you should really buy plenty of it! 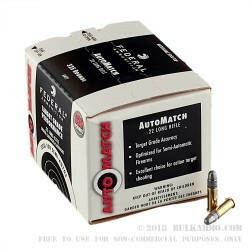 Federal Ammunition’s AutoMatch Target Grade .22LR with a 40 grain LRN is just that ideal ammunition that you are looking for, and a case of 3,250 should keep you on target for quite a while. 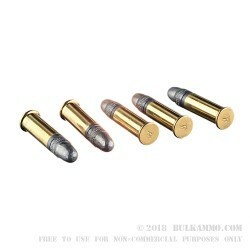 Being Target Grade ammunition, it is formulated for accuracy and designed especially for semi-automatic weapons meaning it has ample charge to fully cycle a semi-automatic firearms back into battery, and it is designed to burn clean. Muzzle velocity for AutoMatch 40-grain LRN is pretty consistent with other 40-grain .22lr offerings, clocking in at approximately 1,200fps, dropping to about 1,075fps at the standard 50 yard zero. You can expect to see a six inch drop at 100 yards, and over twenty inches at 150 yards, should you want to try and reach out that far. At 50 yards, you can expect wind drift of a little over an inch at 50 yards, five inches at 100 yards, and over 10 inches at 150 yards, based on a sustained 10 mph crosswind. 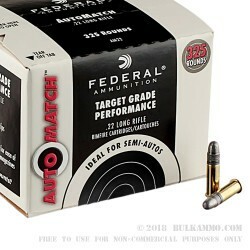 If your rimfire of choice is a semi-automatic, give Federal’s AutoMatch .22lr 40 grain LRN a look. 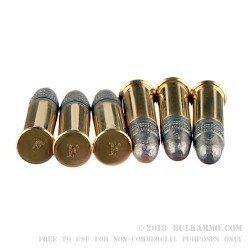 Anyone who has experience using rimfire semi-autos knows the that the struggle is real finding reliable, match grade ammunition for their firearms. A: Hello Daniel, Federal lists the muzzle velocity of this ammunition as 1200 fps.